Crypto markets starting to surge; Bitcoin breaks resistance, Cardano cranking, Tezos climbing and DigixDAO getting fomo. Market Wrap As the week progresses crypto markets are looking stronger. Bitcoin is pulling them all up as it breaks through resistance to form a new 2019 high. Market capitalization is ramping up to do the same as it surges upwards of $180 billion again. Bitcoin did what many had been waiting for over the past week – break resistance and surge to $5,640 according to TradingView. In typical fashion this happened within about an hour during the Asia trading session late this morning. The move puts BTC up almost 7 percent today as that fabled ‘golden cross’ finally comes into play. Next stop will be $6,000 if the momentum can continue in Europe and the US today. 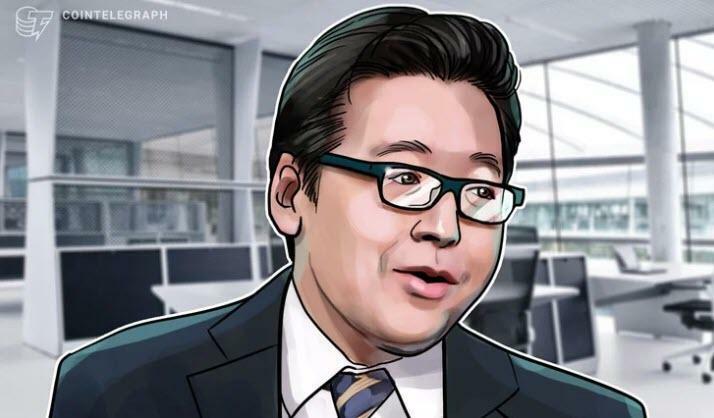 Nasdaq-Based Bitcoin Product Appears On TD Ameritrade According to Cryptopolis, a quantitative analyst at StrongMarket, a Bitcoin (BTC) product appeared on his TD Ameritrade account on Monday morning. As seen below, the product trades under “CXERX” and is purportedly listed on the Nasdaq. Per the chart seen below, the BTC/USD pair of the product began trading on April 10th, 2019, just two weeks ago. Cryptopolis claims to have purchased one BTC at a price of $5,335. This, if true, would be colossal news, as this new vehicle could entice a new wave of retail and institutional investors to enter the cryptocurrency space, as Bitcoin leaves the bear market in the dust. Bitcoin price bottom has come and gone, some of the industry’s best-known experts are now saying as sentiment changes from bearish to bullish in 2019. Mahmudov Reveals Bitcoin Price Bull Cycle Up until recently, prominent Bitcoin market analyst Murad Mahmudov was bearish on BTC/USD, saying he doesn’t expect a new bull-run until Q2 2020. I’m sure you’ve heard the popular adage: “great minds think alike.” While this seems true in scientific contexts, in the case of finance, even cryptocurrencies, this is far from the case. Some of the greatest minds in Bitcoin (BTC) analysis recently convened in a Skype room to discuss if the bottom is truly in. Over eight attended the six-hour call, which was live-streamed to Tone Vays’ Youtube channel, and there were two clear narratives: on-chain fundamentals show that Bitcoin found a bottom at $3,150, and historical technicals show that BTC will establish lower lows in this cycle. Let’s take a closer look at their theories. Find the latest Bitcoin news as well as today’s headlines thanks to Blockchain24News.com. This page has been created for daily traders, investors, enthusiast or new comers looking to learn more. All the major articles published online about Bitcoin are listed above so that you don’t miss out what is happening right now in the market! The Bitcoin Network is an open source code that has been released in January 2009 by the unknown Satoshi Nakamoto, it is working under the blockchain ledger to secure transactions. Now trading under the (BTC) and (XBT) abbreviations. Maximum coin supply: 21 million.